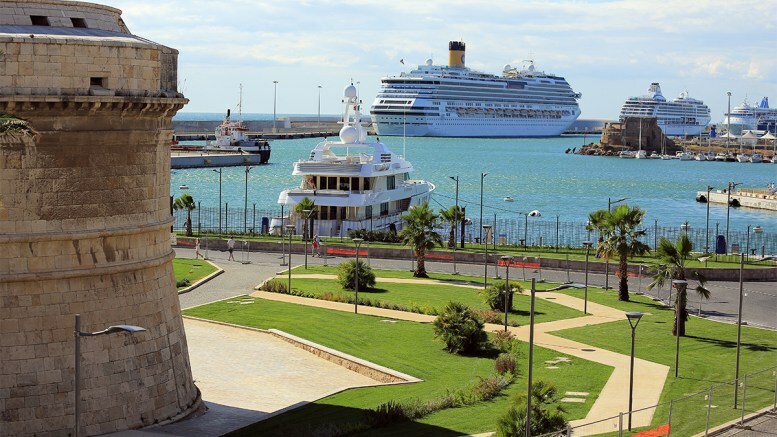 The port of Civitavecchia is located in Calata Laurenti and can be reached from: S.S. 1 Aurelia direction Civitavecchia Porto and then following the directions to Porto, from the South Highway to 12 and follow the port directions. Information about Arbatax 2 Arbatax Harbour overlooks the Tyrrhenian Sea and is located in the little town of Ogliastra in Sardinia The port, served exclusively by company Tirrenia, was recently expanded to allow the berthing of ferries higher tonnage and connects several times a week the lines Arbatax Civitavecchia and Genoa, Arbatax. The port of Arbatax is located in the town of the town of the same name and can be reached via the main road SS125dir. For those arriving with the SS125 from the north, you must exit at the Arbatax Porto junction and at the roundabout go straight on Via Baccasara. At the next roundabout, you must take the first exit and go straight to the end of the road, from here you will make a small right turn and then left, passing the train tracks. At the next junction keep left and go straight to the port. Coming from the south, you need to exit the SS125 at the junction for Tortolì - Lido di Orrì, continue straight until the end of the road and turn right onto Corso Umberto I, go straight on Via Monsignor Virgilio, until the last junction where you will go to the left and directly to the port. The village of Arbatax is served by buses of the regional transport network. The main stop is in Piazza Fra Locci in Tortolì in and from here you can take the connection to Arbatax. Alternatively, the urban bus service is available.